misha29: What Happened to Monday? It's Wednesday here in Australia and it just occured to me that I missed my Monday posting - oops - better late than never. 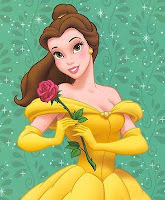 As promised today we have Belle - the princess featured in Beauty and the Beast. Belle lives in a small provincial French town. When her father a local inventor becomes lost in the woods and ends up imprisoned in the Beast's castle, Belle offers herself in his place. The Beast is a Prince placed under a spell for being arrogant. The two eventually fall in love and the spell is broken. The pattern for Belle can be found over at on the Disney Princesses page. 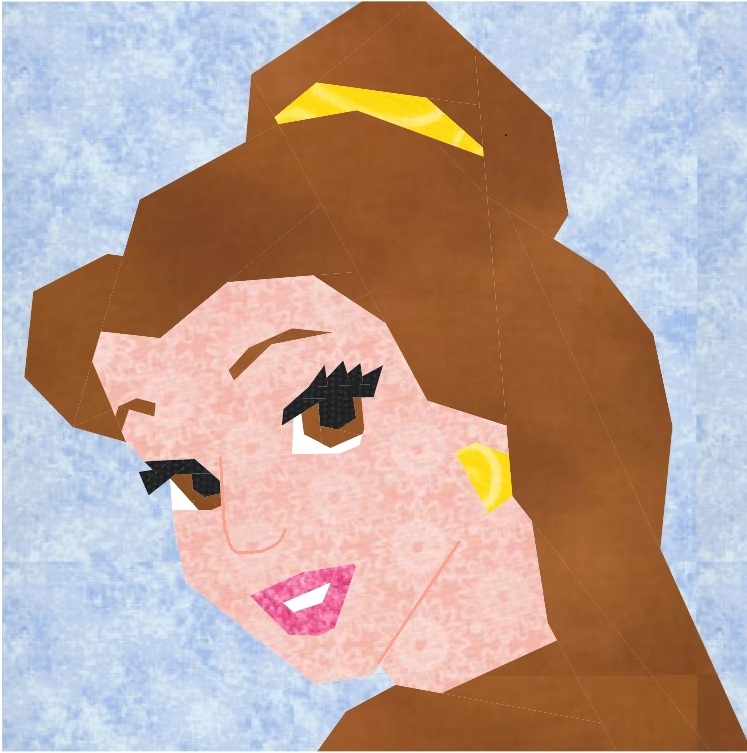 You can also find there other princess patterns available for testing. I just finished Belle and she only measured 9", not the 10" that Ariel and Cinderella did (just finished them this week) Has anyone else had this problem? I also printed the pattern again and the measurements are the same. Oh no - make sure you are printing the pattern with no scaling, for some reason in the past this happens occasionally and I have not been able to solve it as it always comes out fine from my end. I have the paper set to A4 which is the standard in Australia, maybe you could try that. The only other thing that sometimes works is if I send you the uncoloured pattern straight from the design software. If you want me to do this let me know other wise you can scale the pattern up tp 110% or leave a bit of extra border as you sew. I have redone her and reposted her pattern hope this solves the problem. I'm a little confused about your instructions for stitching Belle together. You stitch F, G, & H together and then you add I to get 7; but I didn't see 7 being mentioned again in the instructions...Any help would be appreciated. Thanks! Also, I love your patterns and was wondering if Tiana would be available soon. I have corrected the instructions so you should be good to continue now. Tiana is now available for testing.